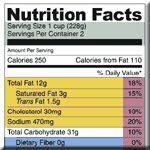 This entry was posted in Diets, Exercise, Health & Fitness, Nutrition, Weight Loss. Bookmark the permalink. As American waistlines continue to expand at an alarming rate, the US Department of Agriculture has developed a plan to assist in our weight loss effort, and profit from our obsession with sugar excess. The report, Taxing Caloric Sweetened Beverages, proposes a surtax of up to 20% which would help alleviate the growing obesity problem, the main reason that two-thirds of the adult population is either overweight or obese. The report concludes that the higher cost imposed on sugary beverages would cut 37 calories per day for adults and 43 for children, which would translate to a respective 3.8 and 4.5 pounds lost in a year. There is no doubt that the obesity problem is the single most significant issue threatening our health, as it leads to increased risk of heart disease, diabetes and stroke. The answer is not a tax to discourage the purchase of sugary beverages, but rather a common sense understanding of the secrets behind the science which drive successful and permanent weight loss. 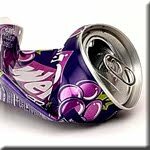 Sugary drinks have no nutritional value, yet they contribute as much as a quarter of our daily calories. As the USDA report suggests, this is the best place to cut calories. The secret is not by taxation, but rather by conscious effort. All teas make a perfect and refreshing substitute for soft drinks and provide important antioxidants as well. Water is also a good alternative, but be sure to use a filtered source if you’re connected to a city water supply. Breakfast is the single most important meal you eat each day, as it revs the fat burning metabolism into gear. Substitute a healthy protein source from nuts, seeds or lean meats and benefit from increased energy to get your day started. Additionally, you won’t be tempted to grab that pastry which will put you on a blood sugar rollercoaster for the rest of the day. Most of the information you need to make an informed decision about which foods fit best into your dietary budget are right on the package. Be careful to look closely at the serving size listed, as manufacturers use ridiculously small serving sizes as a way to make their food appear to have less calories. Choose reduced calorie versions which have high nutritional value and fiber whenever possible. Restaurant and fast food meals are a recipe for high calorie foods of low nutritional value. Emphasis is placed on serving foods which will appeal to your taste for sugar, salt and hydrogenated fat, while piling on more than twice the calories you need at one sitting. Control your calories by planning each meal, and prepare using reduced calorie choices served on smaller 9″ plates. Enjoy the company of family and friends and you’ll naturally avoid those second servings. Current guidelines recommend a minimum of 30 minutes of brisk aerobic exercise on most days. This may not be practical for some people with a busy schedule, but the important secret is to stay active throughout the day. You’ll burn 30 to 50% more calories carrying out your daily activities at a brisk pace, as opposed to sitting in a chair. If you have a desk job, try to get up and move for a few minutes twice an hour to keep your fat burning muscles active. The secret to natural weight loss is not realized by restrictive taxation of sweetened beverages, but rather through the development of healthy dietary and lifestyle modifications. Carefully review each food before eating and make wise reduced calorie substitutions whenever possible. Taking small sensible steps will slowly add up to an improvement in overall health and a positive outlook on life as you reach your ultimate weight goal. Is Diet or Exercise Better for Weight Loss?